We had an exciting first week of March this year, yeah playing with the all new Raspberry Pi 3. We had the Pi 3, and we were selling it to all Pi enthusiasts out there. And one day, we got a call. A frustrated customer, he was unable to use the UART of his Pi 3. Thats right! Without a proper work around, UART on the GPIO header wont function well. The previous versions of Raspberry Pi had UART0 brought out on the GPIO header. But the design was changed with Raspberry Pi 3, which features UART1 on the GPIO header while UART0 is dedicated for Bluetooth. And therefore, the UART on GPIO header will be available at /dev/ttyS0 instead of /dev/AMA0. To meet with with change, we will have to configure the OS accordingly. 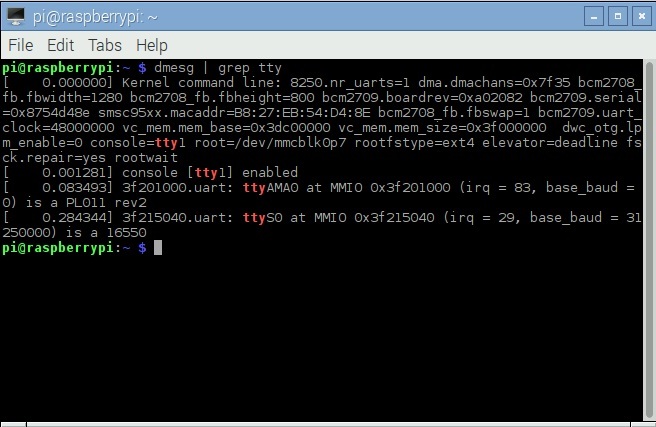 The list will show, ttyS0 – UART corresponding to the GPIO header. Save the file and reboot the Pi. available at /dev/ttyS0, and NOT /dev/ttyAMA0 like before. When the core clock changes, the baud rate will also change! 40 Responses to "Serial Communication in Raspberry Pi 3"
save the file and reboot your system. Hi, Mahesh. I followed the procedure step by step, I get the same error as raj, I entered the command “sudo nano /boot/config.txt” and added enable_uart = 1, but the error persists. Do you know what could be the error? Enter sudo raspi-config in the terminal and select the advanced options and then select serial. cancel the permission by selecting no for accessing the shell. 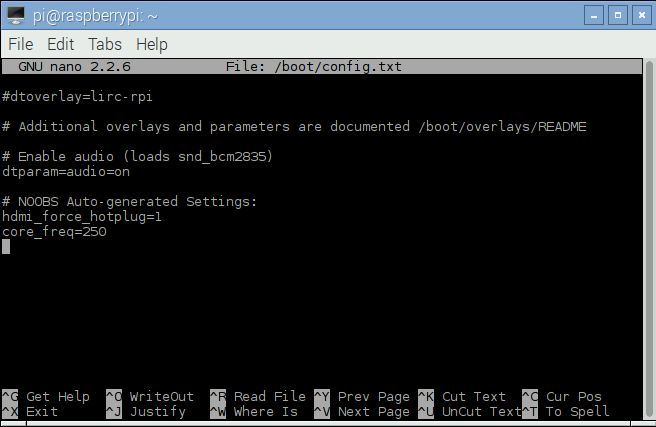 then go to the config.txt and make enable_uart=1 and then reboot the system. I am only seeing tty1 and ttyAMA0. There is no ttyS0. Using jesse “lite”. I can open on tty1 but no data flows thru GPIO. I Hope you are using RPi 3. It is only in this module , we have ttyS0. Please go through this page to enable serial communication . Hi sir I have the same problem with chris… I can’t see any ttys0, the only one that I can see is the ttyAMA0 and tty1.. How can I fix this problem? just follow the instructions mentioned in the link. Hope you are using RPi3. If u are using RPi3 follow the instructions in a correct manner. one thing that i noticed is the import serial needs to in color i think it is red, but in my code it is color black so it meant that the python did not recognized the word serial ?? Please save the pyhton file and check it. python-serial is already newest version. python3-serial is already newest version. But I have problem as I am using raspberry pi 3 model B.
I am not getting the screen as you ahown in example. You should use ‘|’ this symbol instead of ‘/’ . While running the code cursor is scrolling down automatically and not showing the AT written in blue colour on the pyhon shell screen. For communicating data between Raspberry Pi3 and android, you can use either wifi or bluetooth network. Raspberry Pi3 does not have an in-built ADC module. So for getting the sensor data to RPi3, MCP3008 10 bit adc ic should be interfaced using SPI protocol. I am getting an error while running the code, I changed everything clock frequency, enabled uart, S0, with these when I powered my raspberry pi in the monitor it showing serial: could not get clk: -517 for a 2 seconds on screen and work normally. How interface GSM sim 900a to RPI 3 to send SMS & call….. I need python3 program (if available). and i am unable to set my gsm module to use internet for raspberry pi 3 please help me. I am using a raspberry pi 3 with sim800. I have disabled serial and enabled UART, however I am currently receiving an error each time I run the program.